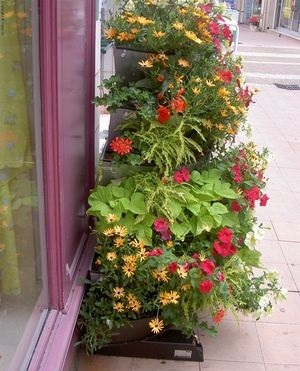 This is by far the best vertical garden tower kit with a FLAT BACK for installation against walls where space is at a premium, such as narrow pavements in shopping areas. No damproof lining needed. Allow 8-10 weeks for delivery.